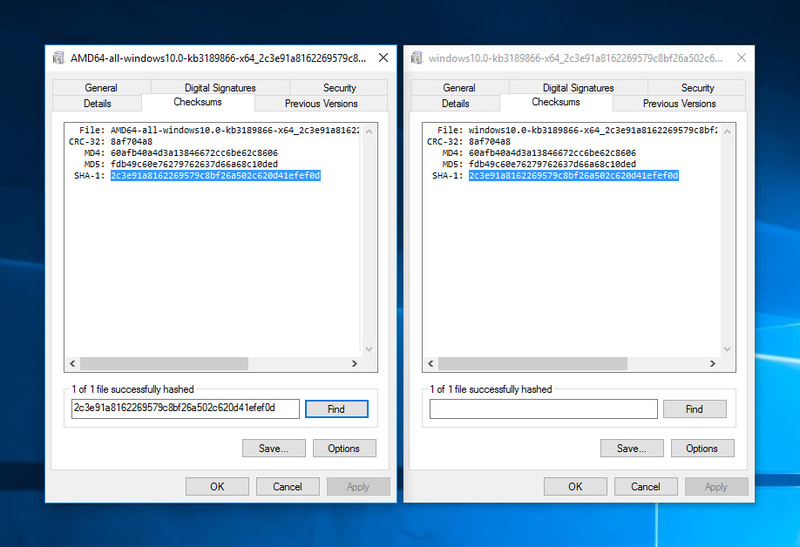 Windows 10 Update KB 3176938 – It’s da bomb!! Last night I let my laptop’s Windows 10 do its updates and went to bed as it looked like a long one. When I woke up, all I had on screen was a No hard drive found/no boot device black screen error… Typical. Windows 10 now opens and shuts down at least twice as fast! Unfortunately, Microsoft made it a bit complicated to find this update’s details: you need to go to the Windows 10 Anniversary Update History page (link is on the KB’s page) and click the “August 31, 2016 — KB3176938 (OS Build 14393.105)” description link. This update includes quality improvements. No new operating system features are being introduced in this update. How to save your Windows Run History! Before upgrading though, I really had to find a way to save my Windows Run history… As most of you may already know, I extensively use Win+R to open like, everything in Windows and upgrading clears the history. If you don’t know what I’m talking about, I urge you to read my quick post on how to launch anything from the Run prompt! If you’ve never played in your Windows registry, always make a backup first. Right-click RunMRU and select export. That’s it! After you’ve done whatever is it you’ve done, double-click that .reg file you just created and it’ll restore your run history! P.S. : If you have any specific topics you’d like to see in my upcoming YouTube channel(s), let me know! Windows 10 Part 2/2 – Final upgrade! I finally upgraded to Windows 10 and then back to Windows 8.1 the next day! lol Before you jump to some obvious conclusions that would actually be wrong, please continue reading! So, after upgrading my Windows 8 to Windows 8.1, the next step was upgrading to Windows 10. I finally decided I was ready to do so and everything went pretty well. That is, until my system became unstable, crashing and giving me BSODs VIDEO_TDR_FAILURE errors. Now, you must know that my current 9 years-old motherboard (ASUS P5N32-E SLI PLUS – a 2007 model) is dying: its first PCI-E slot is dead (didn’t know that was even possible) and USB mouse often needs to be reconnected. It also does not officially supports Windows 10. No Windows 10 for me! Simply put, a new system is on the way and I’ll do a Windows 10 fresh install once I have my new hardware (more on that soon!). Start Windows 10 upgrade and wait for it to finish. In some case, you may need to re-install some software; usually printers and antivirus/firewall. If you want to revert back, it takes less than 15 minutes and that’s what I ended up doing. In conclusion, if your hardware manufacturer doesn’t list drivers for Windows 10, you’re better off not upgrading. I personally prefer running officially supported stuff that having an unstable system. It could also work though; I did a fresh install on my old ThinkPad laptop and it runs Windows 10 flawlessly. At first I had trouble getting all the drivers to work but managed to succeed… It’s up to you! Microsoft now has a new Software Download page! You can download Windows install media for Windows 10, Windows 8.1 and even Windows 7!